The story and concept for the pic is being kept under wraps, but Li said the lead character will be a Chinese hero and the cast will be entirely Chinese. The first film will kick off a planned franchise of three movies. Follow a group of misfits in a fantasy land ruled over by gods. When the gods disappear, the misfits are brought together to protect the land against the monsters and arcane magic that now roam loose. The latest DC animated movie focusing on Batman. A sequel to the 2014 animated hit based on the Marvel comic book. Captain Planet and the Planeteers was a TV show that aired from September 1990 to December 1992. It centered on five young people from around the world who were given magical rings that had the power to control natural elements. United, they can summon Captain Planet, a superhero who helps them fight against environmental evils. New Animated DC movie based on the popular Death of Superman comics. Young businessman George (Lincoln Bevers) has a one-night affair with a mysterious Native American woman (played by Nasanin Nuri). When he wakes up the next morning, she's vanished, but leaves him empowered with abilities that far exceed his own, and with a cryptic message. George embarks on a dangerous quest to find her and the meaning of her message and the extraordinary superhuman gift developing within him. Harbinger was created by former Marvel editor-in-chief Jim Shooter and artist David Lapham, also in 1992. The story centers on Peter Stanchek, a psionically-charged “harbinger” with the potential to reshape the course of human history. Respected philanthropist and fellow harbinger Toyo Harada recruits him into the Harbinger Foundation where he begins a long road towards a destiny that will shake the very foundations of the Valiant Universe. The story tackles the idea that the imaginary friends of children are actually very real and centers on an organization titled I.M.A.G.I.N.E., which handles things when these figments get out of control. An adaptation of Mark Millar's superhero kids book about playground superheroes. No further details have been revealed. The Village Hidden in the Leaves is home to the stealthiest ninja in the land. But twelve years earlier, a fearsome Nine-tailed Fox terrorized the Village before it was subdued and its spirit sealed with in the body of baby boy-Naruto. A PG-13 rated rerelease of Deadpool 2 that adds 15 minutes of new footage and a new character. 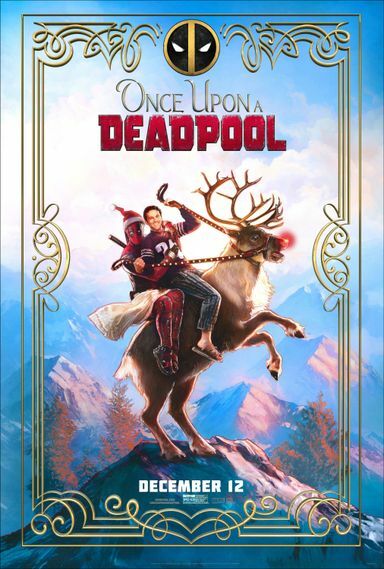 Deadpool 2 extended scenes include actor Fred Savage reprising his role from The Princess Bride.